In your web browser (internet Explorer or alternative) go to www.easyfundrasing.org.uk. (If you automatically use Google as your home page easyfindraising.org will be sufficient to locate the website. 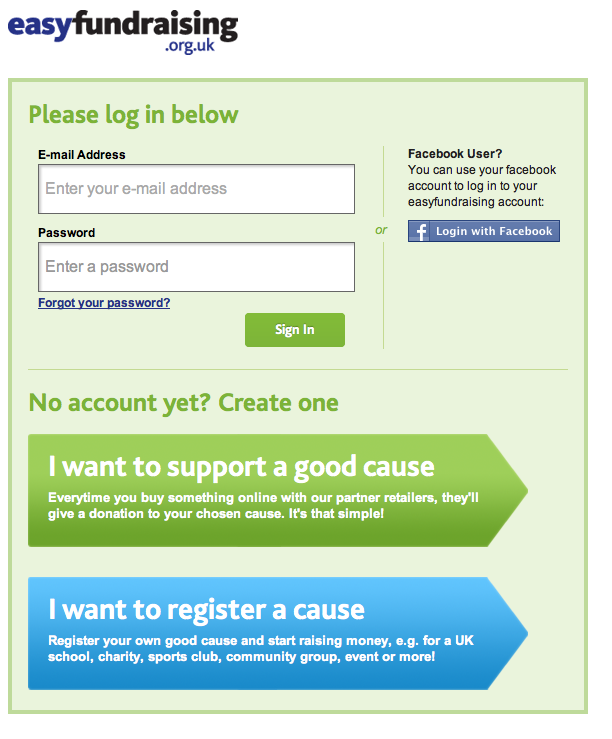 That is stage one of registering:- stage two allows you to gift-aid any donations that are made – fill in as appropriate. 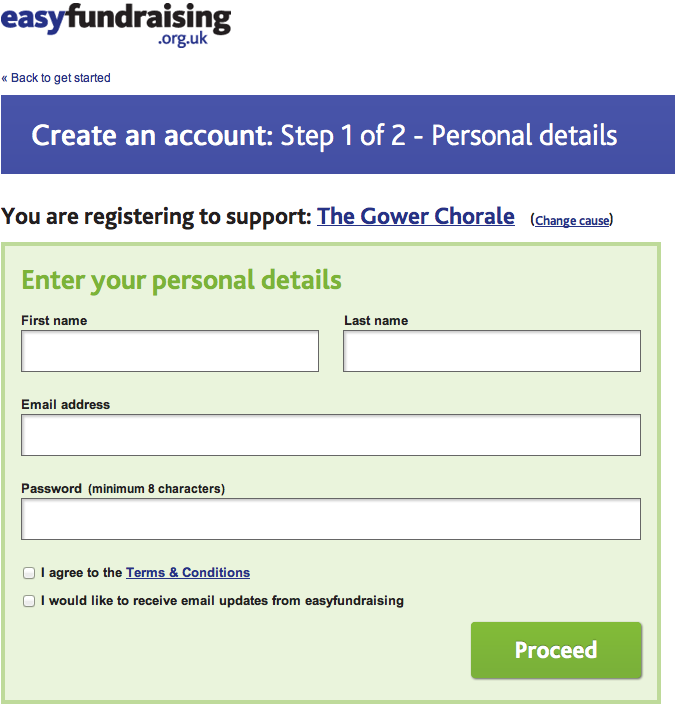 You should now be registered to use the fundraising facility. Just carry on to choose the commercial organization you wish to browse from, purchase your goods as usual, and then when finished, you will be told how much you have raised for the charity so far. Percentages donated vary from organization to organization and there may well be special promotions for which you will obtain a greater percentage – don’t be distracted by these unless you really want to be! When you come to use the website again, all you need is to click on [sign in] at the top right hand corner of the hone page of earlyfundraising.org..co , supply your email address and password and then proceed to buy your goods. If you have problems, don’t hesitate to ask one of us, and don’t forget – anybody can support the choir through this mechanism, so how about asking friends and relatives to use it?